Speakers, for any occasion and regardless of the audience size, will prepare their presentation beforehand. People just like feeling ready for things, especially when others may ask unexpected questions. Presenters may have notes to refer back to as they speak in order to remind themselves of important points to cover, or they may have a reminder to bring up a certain point at a specific time during the presentation. Although it can be helpful to memorize what you’ll say, it never hurts to plan for being overly nervous, or to write down a few different responses to particularly difficult questions which people may ask at the presentation’s end. A simultaneous interpreter should prepare for the event by speaking with the presenter beforehand, if at all possible. The interpreter should also receive a copy of the presentation, if it is available. The interpreter should be just as prepared as the original speaker. The interpreter should research and be familiar with vocabulary before the assignment begins. He or she could study relevant vocabulary, listen to similar past presentations given by others, read up on the topic, and place him or herself in the role of an audience member who may ask questions. If a written copy of the presentation isn’t available and there is no time to speak with the presenter beforehand, the interpreter should at least know as many particulars of the presentation as possible and should prepare accordingly. 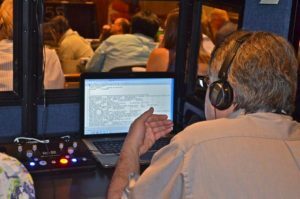 Simultaneous interpreters should be able to adapt to a variety of situations. They should be equally prepared if a written copy of the presentation is not available or if time to speak with the presenter beforehand is not provided. Interpreters are a bridge between the original speaker and his or her international audience, and it is important to make sure they are prepared for any eventuality. Communication gaps exist because of a lack of linguistic and cultural knowledge, so the interpreter must be both willing and capable of faithfully conveying these meanings. How do you prepare for a simultaneous interpretation assignment? Let us know in the comments below! Hi Gilberto, you are absolutely right. It is crucial to not only be familiar with the terminologies but also have knowledge of the case or field that is being discussed. It is always a great idea to be briefed about the case/subject matter by the presenter(s). Alright, I am back with step number three (Please see part 1 & 2 for the first two steps). After completing step 1 & 2 and practicing it until you feel very comfortable with it, you can now put away the translated text and interpret the same discussion/news without it. Practice this until you are interpreting everything perfectly and are able to keep up with the pace. I will post step 4 in part 4 of the series. I appreciate this series. I was wondering if you ever get a chance to actually do a dry run or practice with the person you will be intrerpreting for? Do you ever have clients who fail to or even refuse to give you any notes or draft of their speech before an event. In my experience, people don’t always understand am interpreter’s need to prepare beforehand. My experience is actually with consecutive translation, which has its own challenges. Thank you for sharing your knowledge and experience. First of all, thank you for your goodness in contributing to this science,ie, verbal translation. But i did miss on PART 11 of the series, and should be grateful if any one there redirects it to me. u are doing a great job. Pls , keep it up. U are a great man. I salute u.